Saudi Crown Prince Mohammed bin Salman, seen at last year's Future Investment Initiative conference in Riyadh. This year, several major business figures and organizations have already dropped out of the conference in protest of Saudi journalist Jamal Khashoggi's disappearance. The event is set to return in just a week and a half, but this time around, it will be held in the shadow of simmering controversy — and many of its noteworthy guests will not be returning. As world leaders seek answers to what befell prominent Saudi journalist Jamal Khashoggi, whose disappearance has elicited suspicions of government-sanctioned murder, the conference's major guests are dropping out in droves. Richard Branson, the British entrepreneur behind the Virgin Group, said Thursday that he will not be attending. Nor will World Bank President Jim Yong Kim, major tech investor Steve Case or Uber CEO Dara Khosrowshahi, among many others. "What has reportedly happened in Turkey around the disappearance of journalist Jamal Khashoggi, if proved true, would clearly change the ability of any of us in the West to do business with the Saudi Government," Branson said in his announcement. The wave of withdrawals is just the latest aspect of the fallout around Khashoggi's disappearance. The writer vanished earlier this month after visiting the Saudi consulate in Istanbul, drawing claims from Turkish authorities that the visit ended in Khashoggi's murder and dismemberment. The Washington Post, citing unnamed U.S. and Turkish officials, reports that Ankara holds "audio and visual recordings" that purportedly prove the journalist was killed by a team of Saudis. "You can hear his voice and the voices of men speaking Arabic," one official told the Post. "You can hear how he was interrogated, tortured and then murdered." The incident has given rise to a diplomatic dispute between the two countries — and has spawned widespread suspicion about how Mohammed bin Salman's government handles its critics at home and abroad. Saudi Arabia has denied the allegations, but has offered no further information about Khashoggi's whereabouts. Now, a number of media organizations that had partnered with the kingdom's signature economic summit — including The New York Times, The Financial Times, CNBC and CNN — have also pulled out of it in protest. Times columnist Andrew Ross Sorkin announced Thursday that he was "terribly distressed" by the disappearance and would not speak at the forum. 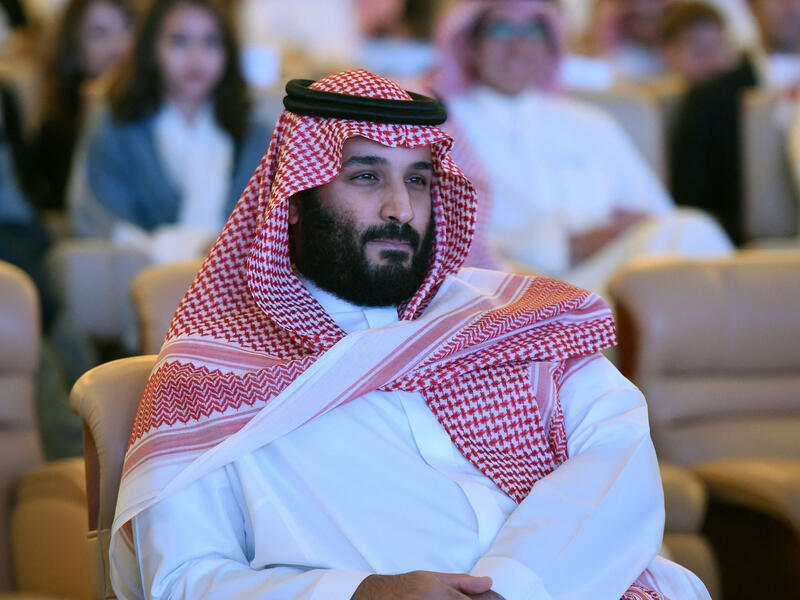 The news comes as a blow to the Saudi government, which has attempted to position itself as an open and innovative field for new investment under a young, energetic crown prince. "This conference was seen as a way to renew interest in doing business in Saudi Arabia, and organizers were probably hoping for a replay of last year's conference, which really generated a lot of excitement about doing business in the kingdom," explains NPR's Jackie Northam. But since that ritzy gathering, another narrative has taken hold. Just weeks afterward, the crown prince rounded up more than 200 Saudi business leaders and princes in what Riyadh described as an anti-corruption campaign. The kingdom recently got into a diplomatic dispute with Canada and last year it led a blockade of Qatar. And it has continued to play a major role in neighboring Yemen's civil war, which has seen thousands of civilians killed and millions more brought to the brink of starvation. In that span, The Wall Street Journal reports that direct foreign investment in Saudi Arabia has taken a nosedive. This conference was to be a major means toward resuscitating that investment. And it still could be. Several of the summit's most distinguished guests, including JPMorgan Chase CEO Jamie Dimon, have expressed no plans to cancel their attendance. And that includes Treasury Secretary Steven Mnuchin, who told CNBC he still plans to be there. The Trump administration has remained on friendly terms with Saudi Arabia despite calls from some congressional lawmakers to end its financial and weapons support for the kingdom. And though President Trump himself has called Khashoggi's disappearance "a bad situation," Mnuchin is not prepared to cancel his visit over it at the moment. "We are concerned about what is the status of Mr Khashoggi," Mnuchin said Friday. "If more information comes out and changes, we could look at that, but I am planning on going."